I've been doing some research in order to get all the data I need in order to get the DropLit v2 user manual written. One of the last things on my list was something to do the "final" cure on the part after it had been printed. A friend turned me on to this: http://forum.formlabs.com/t/budget-uv-cure-box-jar/3176. You fill it with water and leave the printed part in it for 30 minutes or so. 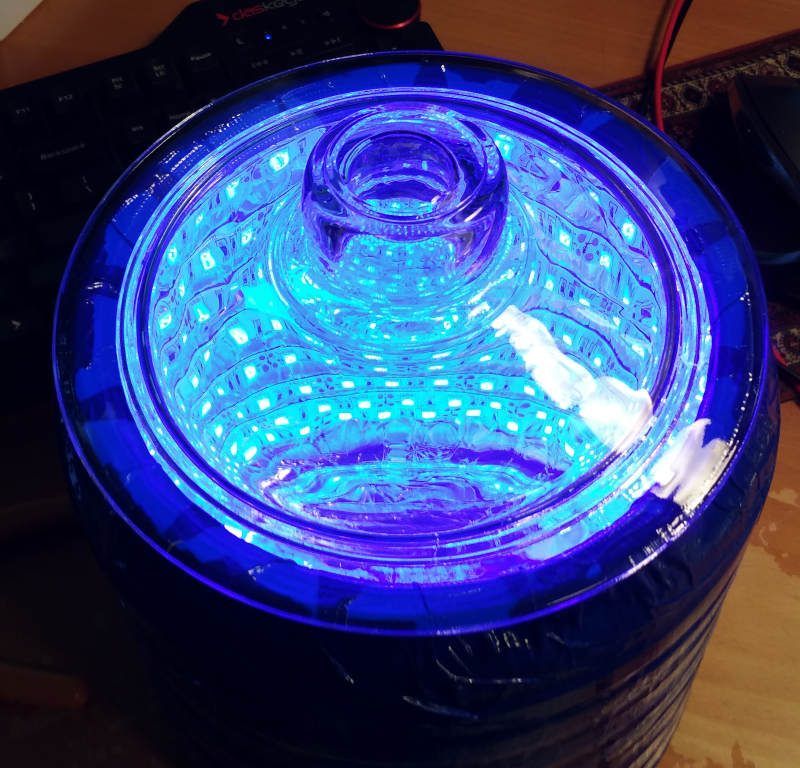 The water prevents oxygen from slowing down the curing process that the UV is doing. Thanks for sharing the pictures with us. 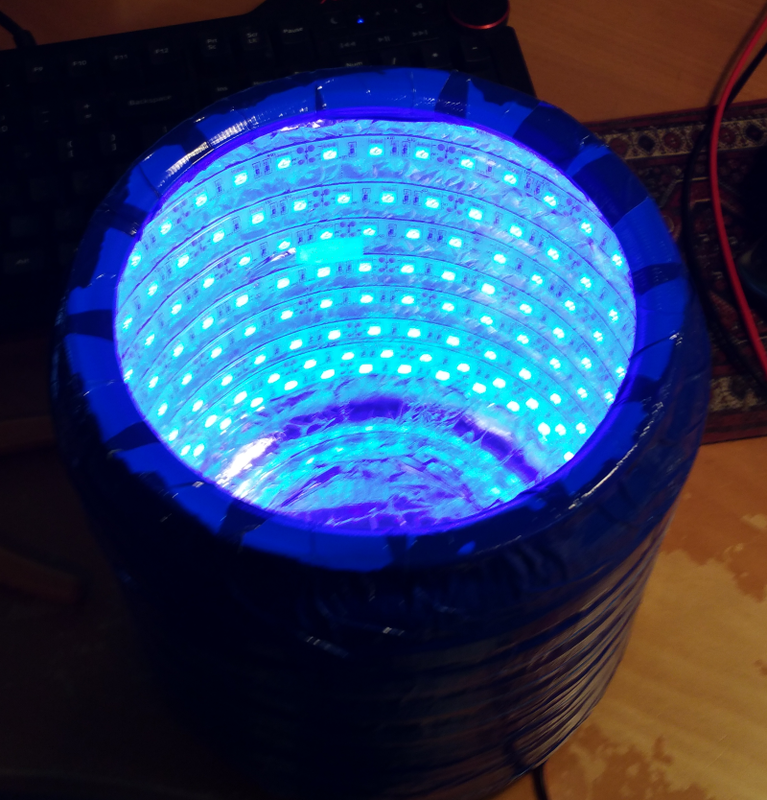 There is something pretty about seeing the light given off by the LEDs. Originally I was going to use duct tape that had bacon printed on it, but I chickened out at the last second and got plain blue instead. Won't the water block the UV? Make sure whatever container you choose doesn't block UV. Polycarbonate will block UV up to about 405-410nm. 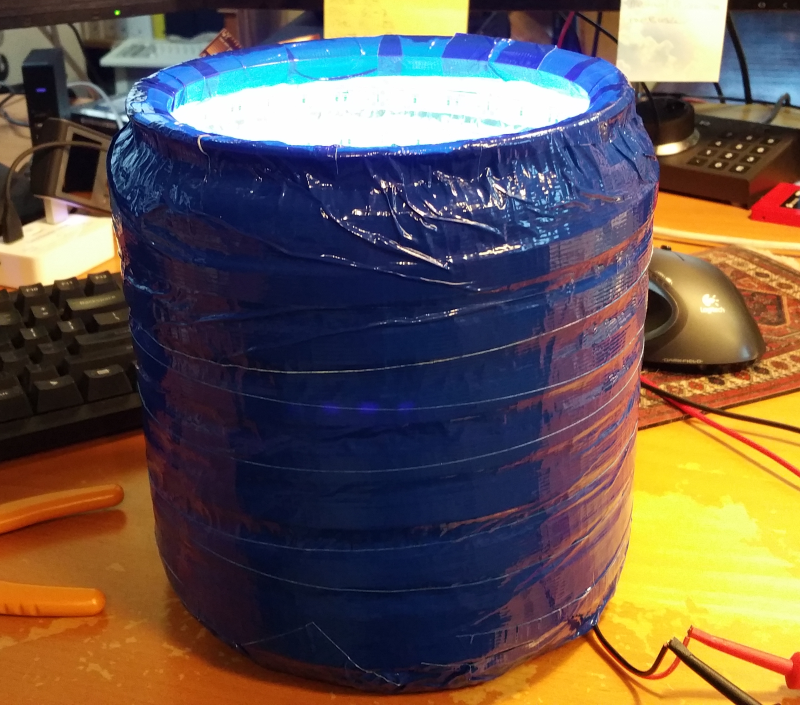 geneb wrote: Originally I was going to use duct tape that had bacon printed on it, but I chickened out at the last second and got plain blue instead. How do they print bacon?